Liverpool Carnival Company recently announced that Brazilica Festival, one of the hottest events in the festival calendar, is back for 2018. 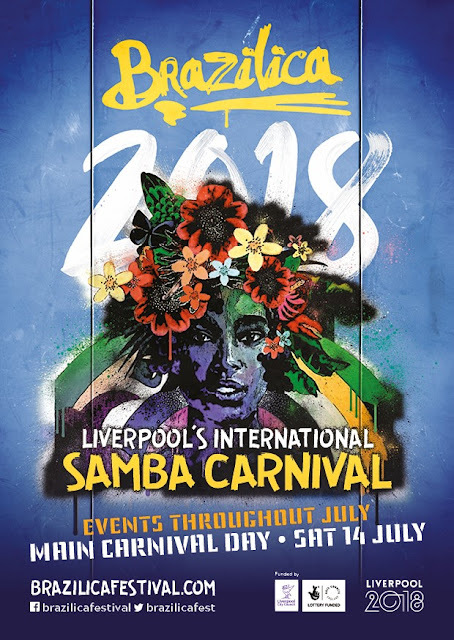 Returning to the city this July for the 11th consecutive year, with the main carnival day taking place on Saturday 14th July, organisers of Liverpool's International Samba Carnival are excited to now reveal that the main stage will once again be located at The Pier Head. 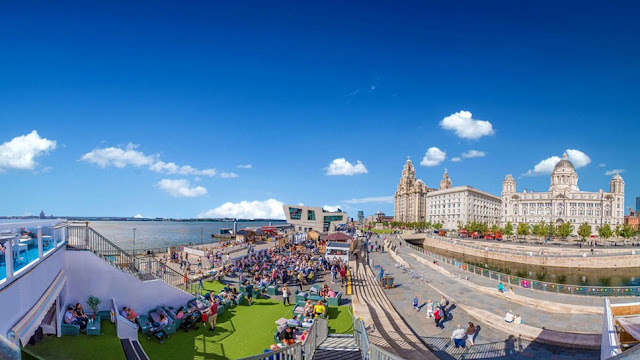 The Brazilica main stage will take pride of place within The Pier Head Village - a family focused festival coming to Liverpool's Waterfront for it's 3rd year again this summer. The Pier Head Village will deliver a programme of world class entertainment, locally-sourced street food and artisan markets, world class high flying thrill rides and activity-based family entertainment, offering a complete day to night summer experience designed to entertain all ages. Guaranteed to create a spectacular carnival atmosphere, the site will be brought to life with a colourful celebration of the sights, sounds and tastes of Brazil on the Brazilica main stage. Brazilica organisers are busy putting together the programme for the main stage which will run throughout the day on Saturday 14th July from 12pm til 8pm, and the full line-up will be announced in the coming weeks. It is certain to feature plenty of Latin fever, extravagant costumes, exotic music, and of course, plenty of samba, with a host of activities to celebrate the very best of Brazilian culture. Already confirmed for 2018's festival, the Brazilian Film Festival will once again return, plus a Fringe Festival packed with a wealth of exhibitions, workshops and performances. The hugely popular and extravagant Carnival Queen competition will also return on Friday 13th July; the winner crowned at the event will lead the sensational night-time Carnival Parade on Saturday 14th July, which remains the festival highlight and features Samba bands from across the UK and overseas. The UK's largest Samba Carnival event, Brazilica has become one of the flagship events of the year in Liverpool's festival calendar. A colourful celebration of Brazilian music, dance, culture, food and sport, it attracts over 60,000 visitors to the city centre. 2018 promises to be even bigger and better, and Brazilica will form part of the city-wide year-long cultural programme of events, as Liverpool celebrates its 10-year anniversary of being named Capital of Culture. Maeve Morris of Liverpool Carnival Company said: "We are very excited to be returning to the Pier Head for 2018 with the Brazilica main stage as part of the popular Pier Head Village. We have some very exciting acts in the pipeline which we will be announcing very shortly, and it promises to be a fantastic day of live music and entertainment." Martin O'Shea, managing director of The Pier Head Village, added: "While we are still preparing the announcement of our full programme for the Village for the summer, we are delighted to lead with the news that Brazilica is returning for another year. The performances last year were truly world class and the vibrancy and excitement it brought to the Village was wonderful; we can't wait to welcome the crowds back again." Disclaimer: Details provided are believed to be correct at the time of writing, but are of course subject to change. I would therefore always recommend visiting the events own website in order to obtain the most up to date information.